POCATELLO, Idaho — The Idaho Department of Fish and Game has placed a bounty on rainbow trout in the South Fork of the Snake River in hopes of reducing the population of the invasive species. Fish and Game workers catch the fish and affix the tiny tags within the snout of the fish before releasing them in an effort to incentivize anglers to catch and keep the fish. Regional fisheries manager Brett High tells the Idaho State Journal that a few hundred anglers participate in the program each year, and about 4 percent of the heads they turn in have tags. 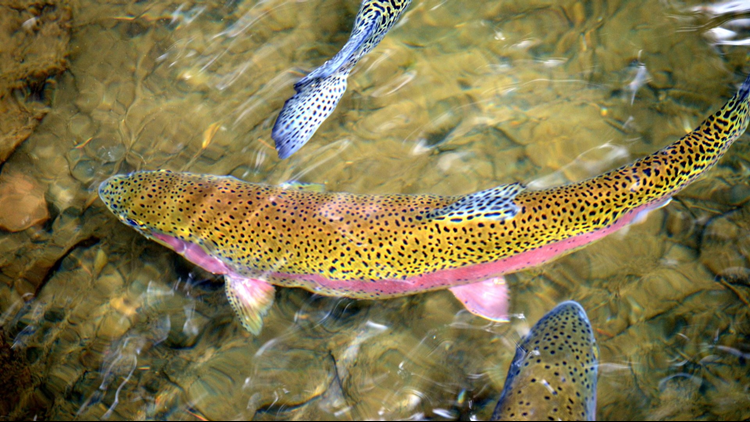 Rainbow trout are the biggest threat to the blue-ribbon fishery's native Yellowstone cutthroats, because they compete with and interbreed with the cutthroat.